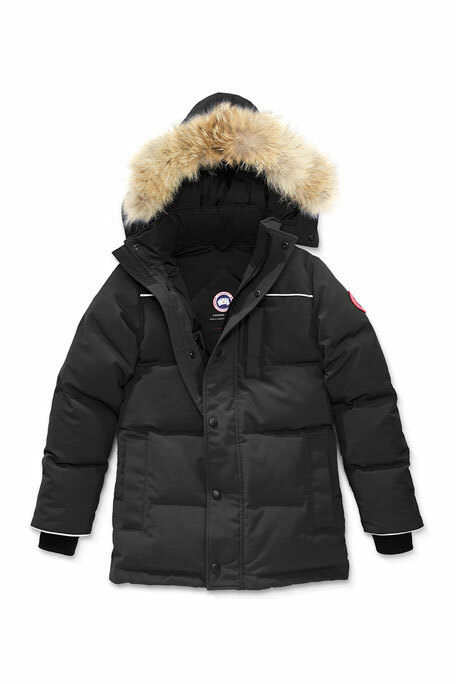 Canada Goose "Eakin" quilted parka in signature Arctic Tech fabric. Removable hood with removable natural coyote fur (Canada) trim. Snap storm-flap over YKK® two-way locking zip front. Fleece lined welt pockets at sides and chest. For in-store inquiries, use sku #2346823.